Empatico helps organizations get un-stuck. We find out what matters to the people—customers or employees—who matter to you. This understanding leads to powerful change. Our human-centered design process optimizes empathy to gain deep clarity and understand how people feel, act, and think. We discover meaningful insights which enable true change and real innovation that boosts employee morale and the business bottom line. We deliver solutions that are compelling and successful because they resonate with the people who need and use them. We rigorously follow this process whether we're designing an online user interface, a new way to communicate a story, or creating a better way for interacting with customers. We offer solutions focused on your customers, on your internal employees and on improving our local creative economy. UWCC brought in Empatico to answer the questions: How do we grow this? And how do we make this more sustainable? We approached the challenges with our typical human-centered design process to see if those were the right, critical questions to ask. We spent time with people inside and outside of the system. We allowed ourselves to ask a number of large “What If” questions and prototyped and tested what we found. Along the way, we engaged stakeholders in creative design workshops, rather than presentations, to actively leverage the intelligence within the system with the strategic design work. People love to hate government Web sites. With good reason, since so many of them seem to pay no attention to the people using them. 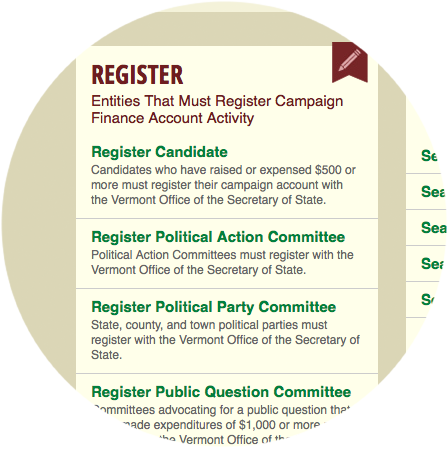 When the Vermont Secretary of State’s Election division decided to launch a new campaign finance Web site, they tapped Empatico to help with a human-centric approach to the front end design. We started by looking at all of the forms and tasks people had to do on paper and watching how they did them. We broke apart and prototyped the process. We did this in real time, working with the talented group doing the coding. Most importantly, we were able to test our designs in real time with critical end-users of the system. They showed us the pain points and sent us back to the drawing board to refine the visual and functional flow to reduce as much friction as possible. After launch a prominent state politician described to us (without knowing we designed it) how much he enjoyed using the Secretary of State’s new Campaign Finance website. He was amazed that the state built a digital tool that was so easy, so useful and that saved him so much time. Despite the fact that most of the people in the audience were not customers, they had a strong, almost familial, relationship with the von Trapps. They all expressed an overwhelming desire to meet the family in person. Working with the Trapp Family Lodge staff, as well as family members, we quickly prototyped a new product: a 3-day “Meet the von Trapps” package. It included storytelling and a personalized tour by a member of the family. We launched the product quickly in the fall—“stick season” here in Vermont. 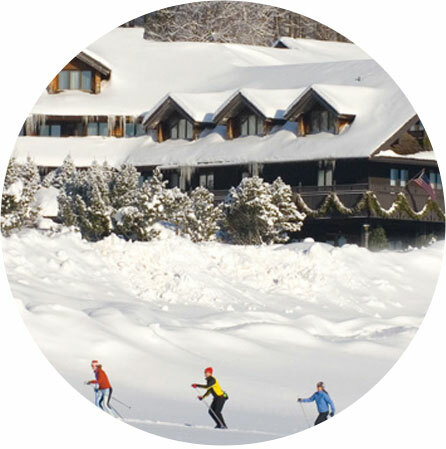 This is typically the slowest time of the year where many Stowe hotels actually close for a month. Instead, we saw an increase in booked visits that immediately benefited to the bottom line. 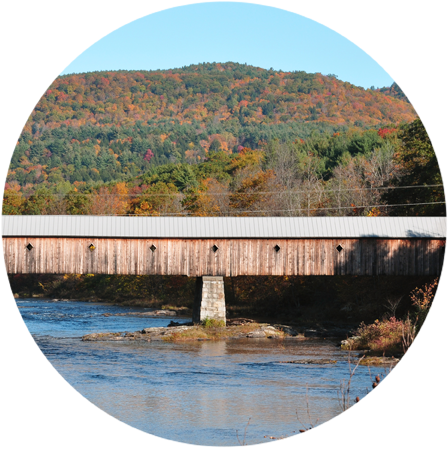 Empatico works with some of Vermont’s most successful companies to boost leaders and employees creativity and openness to innovation. 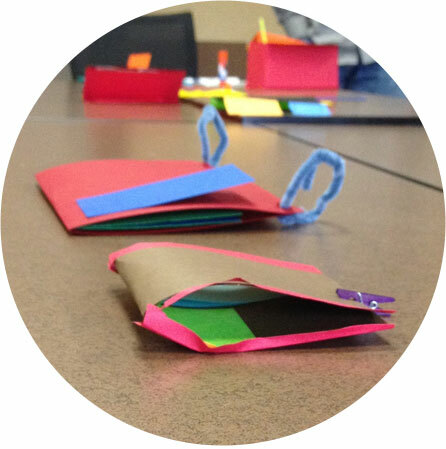 For one of the state’s largest tech companies, we led a leadership development workshop on design thinking, bringing them through experiential learning and hands-on experiments. At a leading green energy company, we facilitated an ideation workshop to create prototypes for new customer policies that would increase adoption and usage. With one of the state’s largest arts organizations, we worked with the entire staff to teach them Empathy mapping to uncover new opportunities for designing better customer experiences. In all instances, people gained a newfound appreciation for listening to and understanding their own customers: Empathy. Research shows that when people choose a doctor, they’re choosing based on the hope and expectation that the doctor will understand them and pay attention to them. So how do you convince people of this before they ever meet a doctor? That was our challenge for Vermont’s largest health care organization. The Insight: Most patients felt like they were walking around with a secret. Only they could feel what was going on inside of them while people around them had often no clue as to their symptoms. That’s a very lonely feeling. 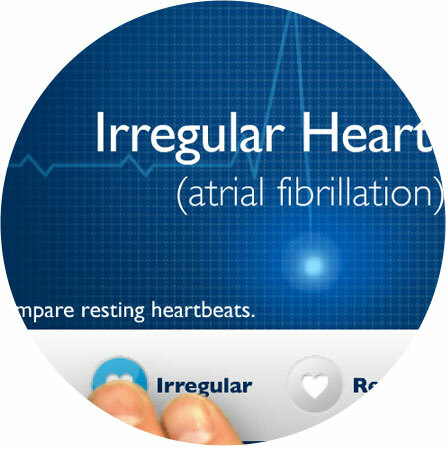 Using innovative digital experiences, we were able to connect our client with patients emotionally and demonstrate that their experiences and feelings were understood. View the work here and here. When it comes to banking, we know there's a lot of frustration in the marketplace. We also know that it's a conservative and risk averse industry sector. Knowing that we opted to challenge the status quo by working directly with our client's customers to understand what mattered to them. Our Future of Banking workshop for Merchants Bank engaged over 20 self-selected customers (and some non-customers) to inform us how to make our client's products and services more human centric. We used a collaborative design exercise that empowered people to create solutions for each other. The Insight: People desired a bank built around its customers’ lives, rather than its branches and services. Our work always starts and ends with people. It harnesses all the things Empatico likes best: empathy, insight, creativity, innovation, and collaboration. Empatico helps you identify and leverage the intelligence that already exists within your systems. We focus on the human side of service and customer experience through a collaborative and creative design process. We uncover insights about people—the stuff that matters—to power our human-centered design process. Together we innovate to create new services, new customer experiences, and even new products. These are the tangible results that will improve your business.